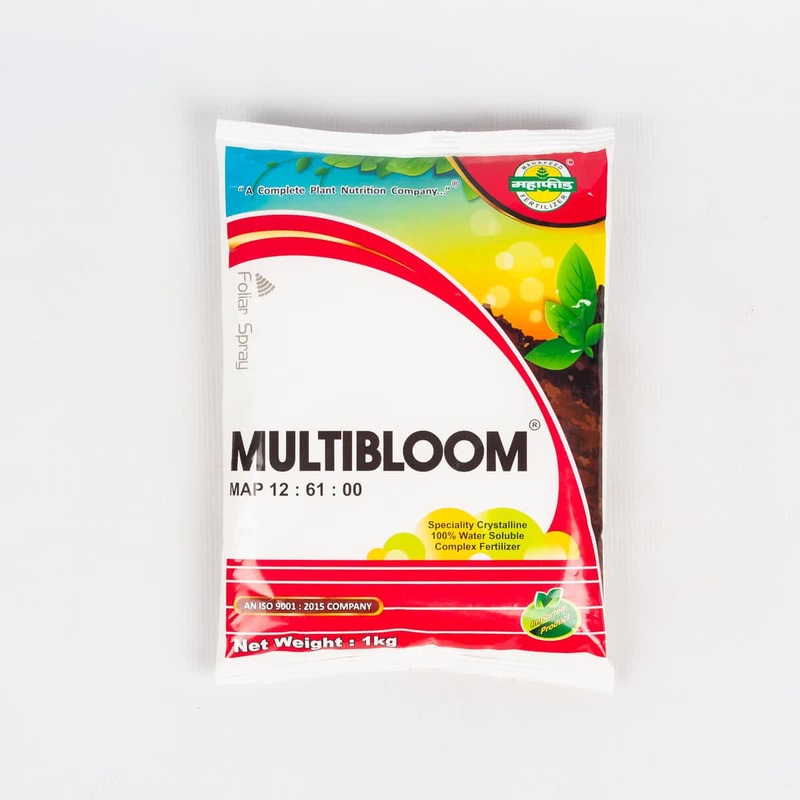 "The two major components of MULTIBLOOM are Nitrogen and Phosphorus. Both are essential for plant nutrition and growth. It is suitable for both foliar spraying and drip irrigation." For more Flowers & Fruit Setting : 5 to 6 gm per litre of water.